Samuel F. Ferguson was born in June 1819 at OH.1,2 He was the son of Samuel Ferguson and Julia Forward.1 Samuel F. Ferguson married Jane Lois Hill.1,2 Samuel F. Ferguson died on 5 April 1885 at Concord, Jefferson Co., WI, at age 65. Jane was enumerated in the 1880 Kendall, Monroe Co., WI, federal census, age 44. She was living next door to daughter Deborah Schollard. [S611] Emiley C. Munson, DC: Emiley C. Munson. Julia E. (?) was born circa 1859 at AL. She married Burton Robertson. [S498] Winfred R. Goddard, Granby Goddards, Page 69, Item 3651. [S418] Ruth Cost Duncan, John Case 2nd Edition, Page 144, Item 417. [S619] Carol Laun, "Godard Family Register." [S25] Hannah McPherson, Holcombe Genealogy, Page 212.1. Much of the information on Rufus' family was provided by Barry Boyer. [S821] Barry L. Boyer, "Rufus Holcombe," e-mail to James H. Holcombe, 14 September 2017. [S807] Find A Grave, online http://www.findagrave.com, memorial # 57949672. Maria Hunter was born on 2 March 1825. She married Asahel Holcombe, son of Noah Holcombe II and Eunice (?). Maria Hunter died on 28 August 1861 at age 36. She was buried at Knowles Cemetery, LaGrange, Lorain Co., OH. [S137] Elisha Scott Loomis, Joseph Loomis, Page 310, Item 2434. [S137] Elisha Scott Loomis, Joseph Loomis, Page 214, Item 956. [S95] Gary Boyd Roberts, Presidents 1995 Edition, Page 55. CASE, Beatrice Lucille, of Dunedin, died Saturday Dec 24, 1994 at home. She was born in Townville, Pa and came here in 1973. She was a career Army officer, retiring as a Lieutenant Colonel. She was a World War II and Viet Nam veteran. She was a member of Wednesday Coffee Club, Dunedin Bowling League and Military Officers Organization. Survivors include two nieces Molly Case and Cathleen March, a nephew Donald Case and six great-nieces and great-nephews. American Burial and Cremation Service, Palm Harbor. The late Beatrice Case advanced to the rank of Colonel in the United States Army. She began her stint as a physical therapist and saw duty in Germany and in the Pacific Theater during World War 11. She danced with Patten! Bea opted for a career after the war and was stationed in various places including Arizona, Alaska and the Carolinas. When trouble surfaced in Viet Nam, she traveled there and did two stints in an army hospital. Taking breaks from her global assignments she would visit family in Lockport,often staying at the home of Lockport Pager, Cathy Case March. During the course of her army career she spent significant time with Dwight David Eisenhower, former General-Of-The-Army and United States President. "Ike" engaged her services as an Army physical therapist to relieve the aches and pains of his aging body brought on during the War in Europe. The late President expressed his appreciation for Col. Case's services in a number of personal letters, some written and mailed from Gettysburg. Included in the rememerances sent along was a dedicated copy of his historical tome, Crusade In Europe pictured below with some of the letters. [S182] Social Security Death Index (on-line), Ancestry.com, SSDI, Ancestry.com, SSAN 232-34-4618. [S807] Find A Grave, online http://www.findagrave.com, memorial # 102830164. [S513] Dennison Fairchild Fiala, "John White." Levi and Carrie were enumerated in the 1870 Wallingford, Rutland Co., VT, federal census. He was a farmer age 30, she was 24. Children in the household were William 5, Flora 3, and Olive 6 mnths. Levi and Carrie were enumerated in the 1880 Mount Holly, Rutland Co., VT, federal census. 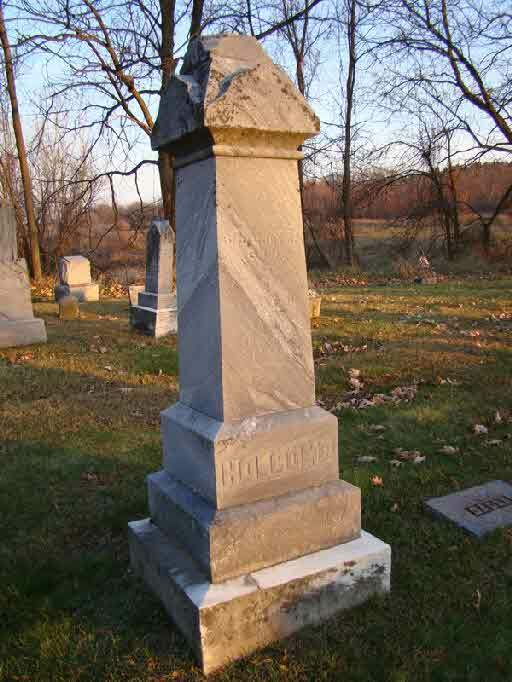 He was a farmer, age 40, she was 34. children in the household were William H. 14, Flora A. 13, Olive A. 11, Ella M. 8, Bert 6, and Edward L. 4. 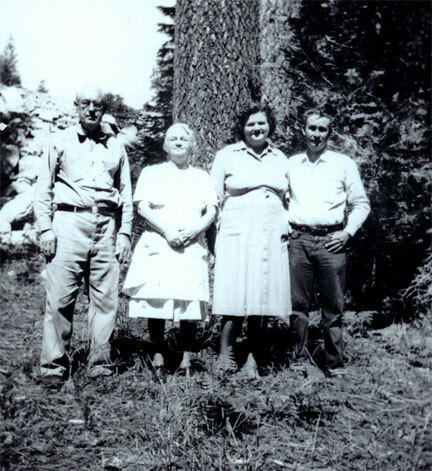 Levi and Carrie A. were enumerated in the 1910 Mt. Holly, Rutland Co., VT, federal census. He was a farmer age 80, she was 69. The household consisted of servant John Carlton, son Edward L. Holcombe, daughter-in-law Cora A., grandson Orville, grandson Gilbert, and son John F. 23. Son Bert was enumerated nearby. The census indicated that Carrie had eight children, all still living. [S518] Ruth Holcombe Stevens by way of Rose Wolford, "James and Olive Holcombe," e-mail to James H. Holcombe, 26 May 2004. [S451] Robert Piercy Dow, Dow, Page 317. Jerusha Sexton was born on 11 October 1713. She was the daughter of Gershom Sexton and Abigail King. Jerusha Sexton married Isaac Cook Jr. on 13 October 1733. Child of Jerusha Sexton and Isaac Cook Jr.
Isaac Cook III was born on 28 July 1739. He was the son of Isaac Cook Jr. and Jerusha Sexton. Isaac Cook III married Martha Cook in 1760. Isaac and Martha were cousins. Rev. Joseph Morgan was born on 6 November 1671 at New London, New London Co., CT. He was the son of Joseph Morgan and Dorothy Parke. Rev. Joseph Morgan married Sarah Emmons. Dorothy Morgan was born on 24 July 1697 at Greenwich, Fairfield Co., CT. She was the daughter of Rev. Joseph Morgan and Sarah Emmons. Dorothy Morgan married Henry Van Kirk circa 1723. Dorothy Morgan died in 1745. Mary Sumner was the daughter of Edward Sumner and Elizabeth Clapp. Mary Sumner married Thomas Balch. Sean Flynn was born on 31 May 1941. He was the son of Errol Leslie Thompson Flynn and Liliane Marie Madeleine Carré. Sean Flynn died at Cambodia. Sean, a photographer for Time/Life, disappeared in Cambodia in April 1970; he was declared legally dead in 1984. [S486] John T. Fitch, James Fitch Vol 1 2nd Ed, Page 510. John Sylvester Langenbach was born circa 1903. He was the son of John Albert Langenbach and Ellen Ellis. John Sylvester Langenbach married Dorothy Ellen Rigg.